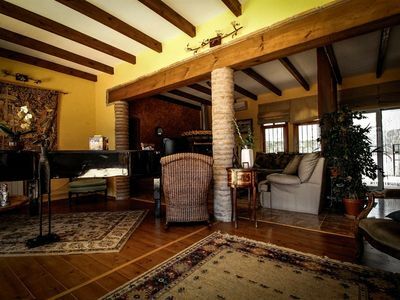 This superb rustic villa is surrounded by open fields and has far reaching views to the Tramuntana mountain range. 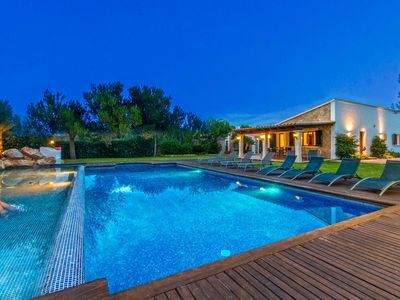 Despite its tranquil setting the property is within walking distance of the old walled town of Alcudia and also sea bathing by the Bonaire Marina. Up to eight guests can be accommodated in air conditioned setting. The house is approached via a tree lined drive making this property private and unoverlooked. There is secured parking for several cars. Our clients will be bowled over by the impeccably maintained gardens with their abundance of lush mature Mediterranean plants and trees. A wide boardwalk leads to the stunning pool area. The large pool is accessed via Roman steps. There is a large children’s section with a seating area and fountain. The solarium is furnished with eight loungers. Close by is a fully equipped pool bar. On request is also the possibility to connect a 30litres beer keg. From the bar stools guests can sip a refreshing drink whilst watching the sun sink below the Tramuntana mountains. There is also a basket ball net and children’s play area. The interior of the property is well maintained and presented. The spacious beamed lounge-dining room has a log burner, large sofa with chaise, satellite TV and high speed wifi. Meals can be taken at the large glass dining table. The lounge has direct access to a covered terrace furnished with dining table and chairs. There is also a casual seating area with views across the gardens to the pool. The kitchen is bright and airy and fully equipped. In the main house up to six guests can be accommodated in three spacious bedrooms, one with a double bed and two twin bedded rooms. All three bedrooms have ample wardrobe space. The bedrooms are served by a full bathroom with a tub that has a shower over. Two further guests can be accommodated in the annexe suite. There is a large beamed studio with feature stone wall, double bed and sofa. 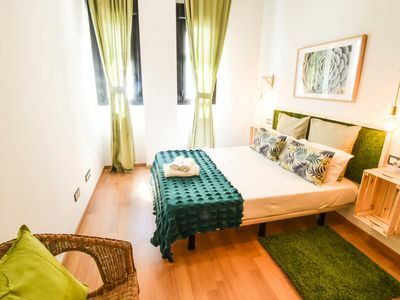 The studio is served by a wet room style bathroom with large walk in shower. 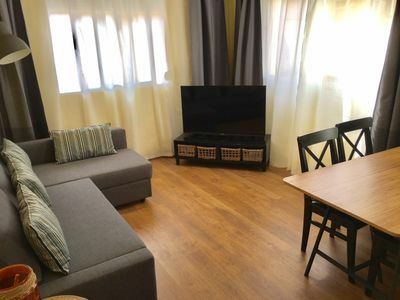 This property is highly recommended as it offers top class accommodation in a beautifully tranquil setting yet is within walking distance to the sea or the bustling town of Alcudia. 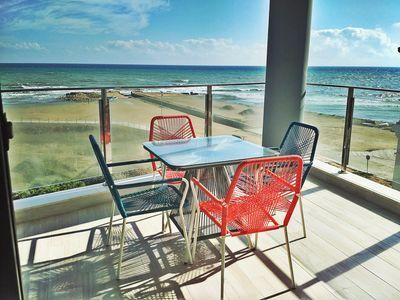 * Price includes: electricity, wifi, bed linen and towels, pool/beach towels and final cleaning. * Cot and high chair available on request. No extra charge. Second set available for an additional cost of 40€. * To secure the booking: 25% of total as deposit via bank transfer, paypal or credit card.